1.) 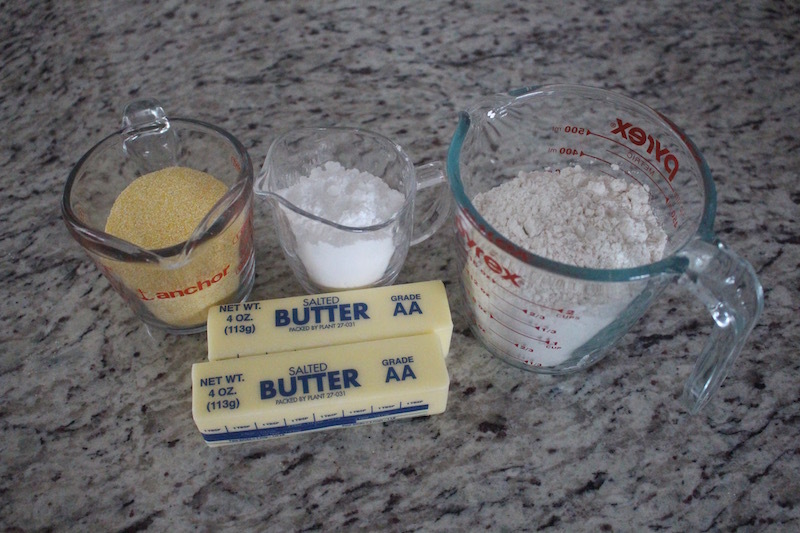 In a large bowl add all of your ingredients and mix together until you have a dough, then kneed until it is smooth and elastic. Roll out your dough on a sheet of parchment paper and using you snowflake form press and cut out your snow flakes. Place all of your cookies on a baking sheet. Bake for 15 minutes on 350ºF. 1.) 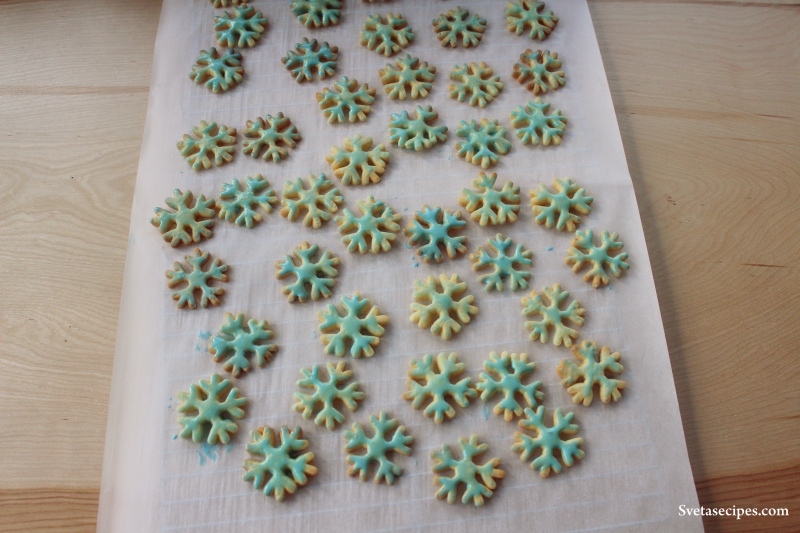 In a small cup mix together your egg whites and powdered sugar, add 1 drop of your choice of food coloring, using a pastry brush apply your glaze to the cookies. Place on a serving dish and enjoy. 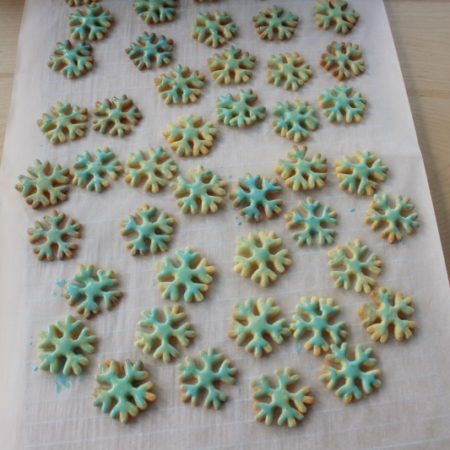 These cookies are great to set on the table for christmas or when it's snowing, the cookies include a very tasty glaze. In a large bowl add all of your ingredients and mix together until you have a dough, then kneed until it is smooth and elastic. 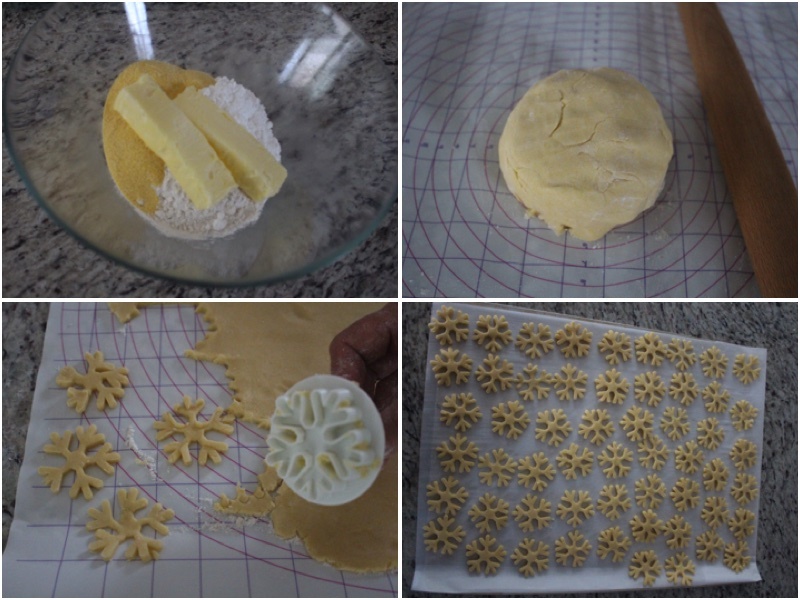 Roll out your dough on a sheet of parchment paper and using you snowflake form press and cut out your snow flakes. Place all of your cookies on a baking sheet. Bake for 15 minutes on 350ºF. 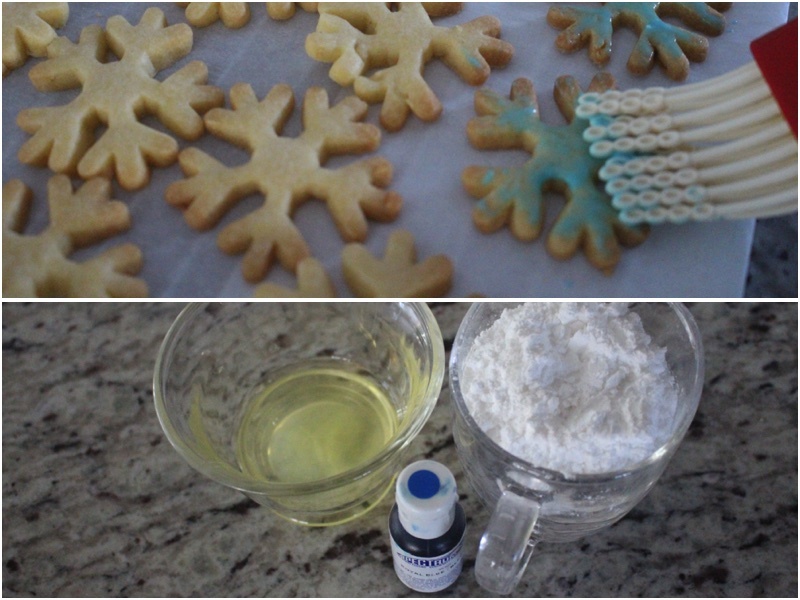 In a small cup mix together your egg whites and powdered sugar, add 1 drop of your choice of food coloring, using a pastry brush apply your glaze to the cookies. Place on a serving dish and enjoy.